Maximilian has begun the "WEEK OF!" JoJo's Bizarre Adventure All-Star Battle. Watch the first part inside. Maximilian has posted part one of his "WEEK OF!" 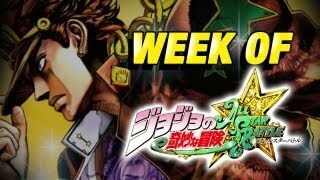 JoJo's Bizarre Adventure All-Star Battle. Here he is joined by Matt and they compete against each other.